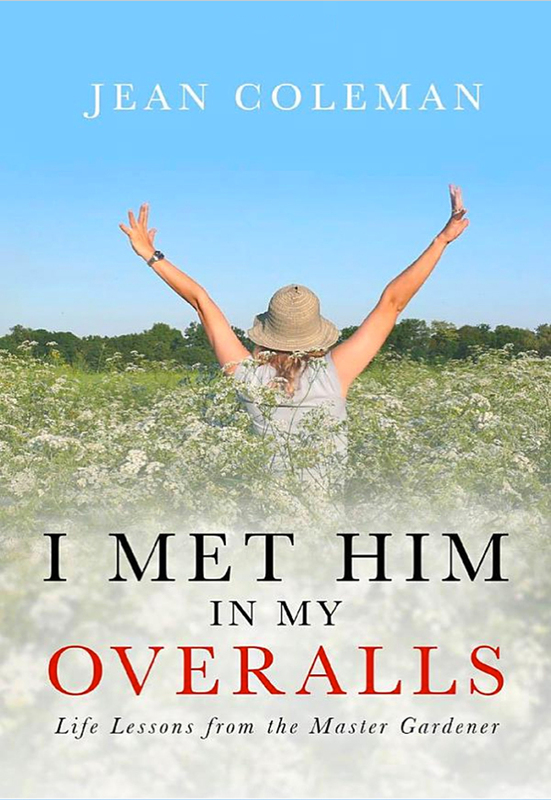 From composting carrot shavings, grass clippings, and horse manure to weeding pesky, prickly plants, I Met Him In My Overalls draws vivid parallels between garden tasks and life. In her commercial flower garden, Jean Coleman saw biblical principles simply displayed and she drew closer to God in the process. Join her garden journey and get a poignant view of life from a heavenly perspective. Jean Coleman intended to grow flowers for market in her two acre commercial garden when she moved to a farm in the country, but God had another plan: He intended to grow her! Everything pertaining to market gardening became a parable for life. Whether weeding unwanted, pesky plants or plowing the soil for row-making, Jean saw pertinent parallels for life. For example, horse manure, broken egg shells and used coffee grounds, all smelly discards, when added to a compost pile, eventually decompose and become fertilizer to nourish other plants. In this process she saw the resurrection of Jesus. He takes our (useless, smelly) sins when we confess and release them to Him and offers us forgiveness and new life in return. Planting provided another illustration for life. Seeds must be underground and in darkness before they emerge into the light and become what they were intended to be. So it often is with us. Jean unzips her soul, revealing childhood shame and regrets as she relates her insights from the garden. Her prior misconceived perceptions take on a new hue as she sees life through a heavenly lens. As the gardener and tender of her flowers for the purpose of selling them in the marketplace, she acquired a new and profound realization of God’s purposes for us as the tender of our souls. Join her garden journey and take a look at yourself, exploring those places that need to be composted but instead are “rotting” without ultimate purpose and good. See God’s messages to us in the most ordinary of things: dirt, stems, blooms, even insects. Take a look through her viewfinder and see life with a new design. It can be life changing! You can purchase the book online from Amazon or Smashwords in multiple eBook formats at https://www.smashwords.com/books/view/427647.